From an early age, David enjoyed music and was a keen member of his Junior School Choir. However, it was from the age of twelve that his interest began to develop into what would be the backbone of his career. During one of the music lessons at the then, Hartlepool Grammar School for Boys, David discovered a diagram of a piano keyboard and began to experiment at one of the pianos at the church he attended. After receiving some assistance from one of the Senior Sixth pupils at school, he was soon able to play some hymn tunes and began to take piano lessons on a regular basis. Before long, he was accompanying the hymns in assembly and had also taken up playing the trombone in the school orchestra, the euphonium in the school brass band and become a member of the school choir. Co-incidentally, it was during one of the Gilbert and Sullivan stage shows – Iolanthe – that David met Duncan Graham, chairman of the HMVC, who had just begun his teaching career at the school and was producing the show! In addition, David had also taught himself to play the organ and had become organist at his church and accompanied the Hartlepool Church Choral Union in an Easter performance of Stainer’s Crucifixion. From the Grammar School, David went on to study the teaching of music at Bede College in Durham. Here he studied singing, piano and trombone. His singing teacher was Denis Weatherley, a well-known local singer and former member of the BBC singers, who continued to instruct David long after he left the college. David’s piano playing also made good progress, culminating in him being chosen to receive a master class from Ronald Smith, who, at that time, was Principal of the Royal Schools of Music in London. In addition, David was appointed as the assistant organist to the college chapel and became Musical Director of the College’s Gilbert and Sullivan Society. During this time David decided to go into music as a performer rather than a teacher and made arrangements to study for a B.Mus degree at the University. However, this was not to be. Prior to commencing his final year at Bede, David’s father was tragically killed in an accident at work, leaving his mother, who was unable to work, and David, who depended upon his parent’s financial support, in severe difficulties. Consequently, David completed his final year at Bede and became a teacher, where he was able to introduce many children to the joy of musical performance through his skill and enthusiasm. After leaving college and settling into his new job, David found an outlet for his musical talents through some of the many music groups operating in Hartlepool and the surrounding area. He also joined the Teesside Symphony Orchestra where he became the principal trombonist. He also joined the Hartlepool Gilbert and Sullivan Society, now the Hartlepool Stage Society, where he did some conducting, accompanying and acting for many years, often taking leading parts in their shows. 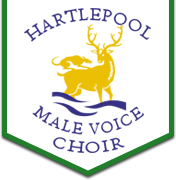 During this time he was also the Chorus Master for the Rosedale Gilbert and Sullivan Society in Middlesbrough and eventually became the Musical Director of the Reg Guy Singers, now the Hartlepool Male Voice Choir. 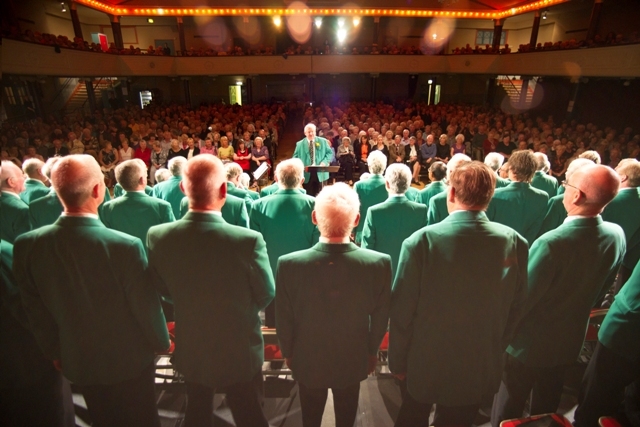 During his time as the choir’s M.D., David has seen the choir grow in number to about eighty. He has used his considerable experience and expertise to improve the standard of the choir’s singing and presided over many innovations in the choir’s performance which have made the choir popular wherever they go.